Welcome to Colgrove Financial — Guidance for Your Financial Future! Are you looking for better insurance plans backed by exceptional service? Colgrove Financial, serving the residents of the East Valley, and the surrounding areas, is an independent insurance agency with the resources and expertise to assist you. Our agency began in 1990 inside our founder's home and over the past 25 years, we've been fortunate enough to expand both our physical location and the products we offer. Our skilled agents have allowed us to branch out to provide comprehensive protection plans, including life, health, home, auto and commercial insurance. 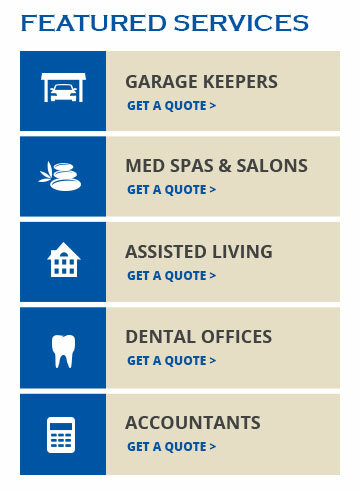 Though we're proud to offer such a large variety of products — including group health insurance, salon insurance, garage keepers insurance, dental office insurance, assisted living insurance, accountants insurance and much more — our services don't end there. Throughout the process of selecting and purchasing insurance policies, we're happy to educate you on what those policies can do to protect you and your family. Our primary goal is to keep our neighbors safe. Are you ready to protect your family from life's unseen calamities? Contact us today by phone or email or visit us at our office for fast, efficient service.